On the first Sunday of Advent, I posted about some of the ways our family celebrates the Advent season with this post. Another great resource we love is the Holy Heroes website which has an Advent Adventure for families. It is free to sign up and each day our family gets an email with the next day's adventure lesson. My children love to watch the children on the videos and hear the Bible stories and history of Advent. 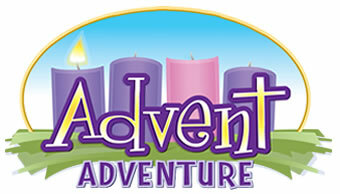 Holy Heroes also has a Lenten Adventure in preparation for Christ's resurrection at Easter. We participated in the Lenten Adventure for the first time this past year and we are enjoying our first Advent Adventure so far. Holy Heroes is a great and fun resource and our family has learned so much together as a family about our Catholic faith with Holy Heroes! I am thankful for Holy Heroes and for my friend A.R. for reminding me that Holy Heroes is definitely a great website to share with others who visit my blog! I did notice the sale of Myrrh and Frankincense :) I'm glad you found ours at a good price :) Thanks for your visit and support! Thanks always for your continued support! Thank you so much for sharing. I cannot wait to checkout the website. Happy Advent to you and your family!